I have a wicked sweet tooth, and often just have to indulge, but I don’t want my treats to completely derail me from healthy eating (ok, there’s sometimes a place for a delicious doughnut from a local shop, or a slice of chocolate cake). 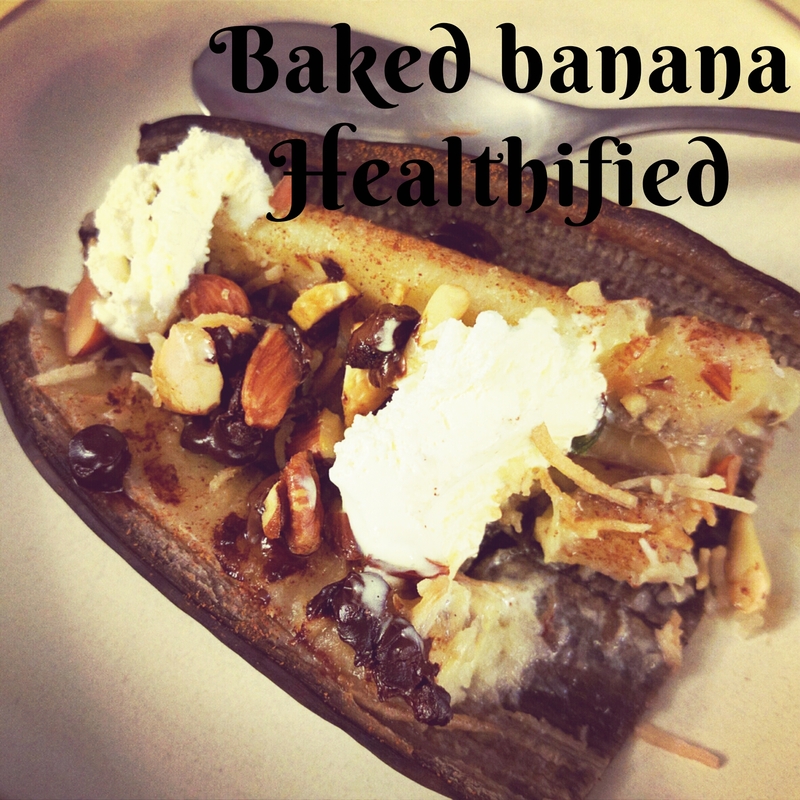 This healthy baked banana has no added sugar, just what’s naturally in the banana itself and some stevia-sweetened chocolate chips. You don’t need the typical marshmallows and loads of chocolate. I’ve even topped mine with a few dollops of greek yogurt that I added vanilla stevia to. Sprinkle with cinnamon, and you’ve got the perfect indulgence. 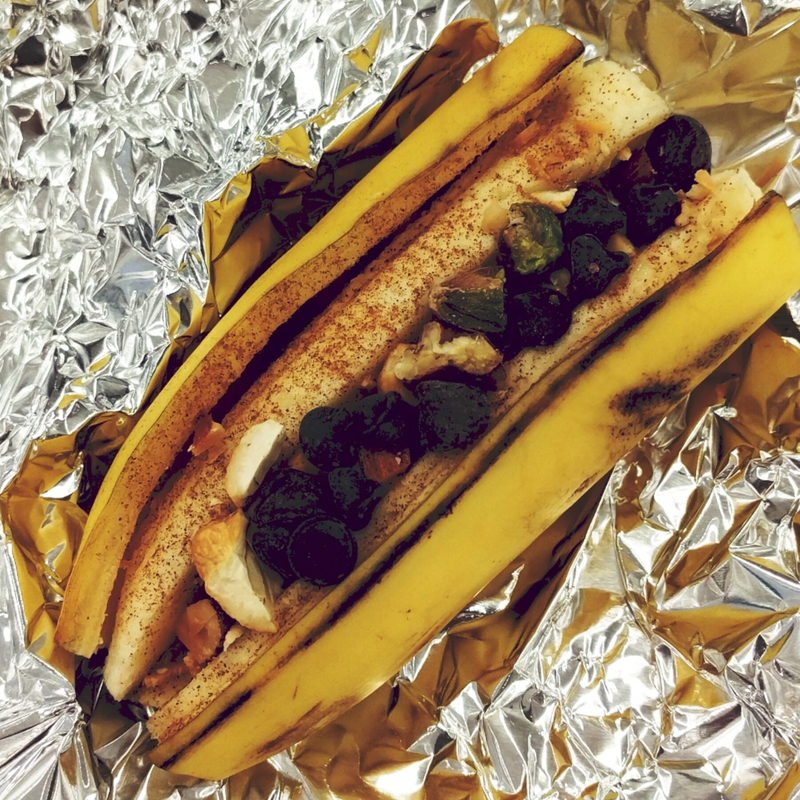 Sprinkle banana with cinnamon and stuff in the rest of the ingredients. Wrap in tinfoil and roast in the oven at 350 degrees for 15 – 20 minutes or bbq for 10 minutes. Top with some greek yogurt after adding in some stevia and vanilla extract.